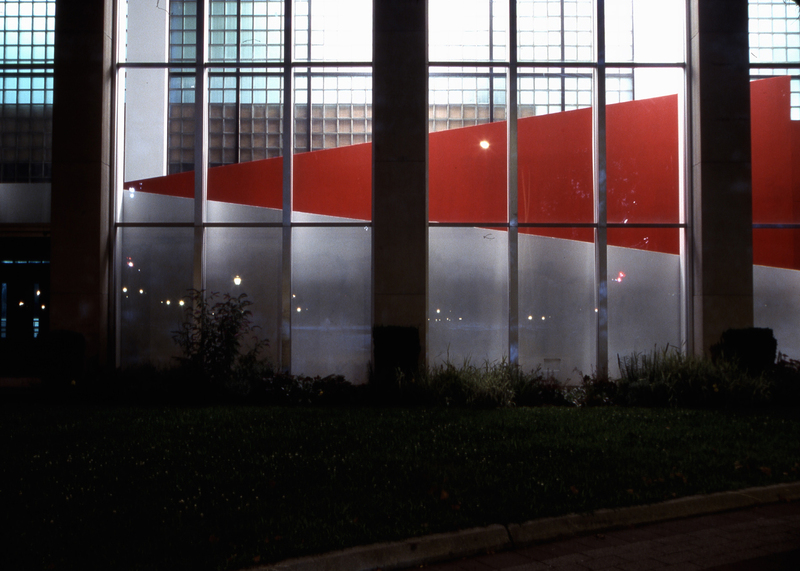 Conceptual artist Terence Gower uses the museum’s interior ramp to examine how the intensity of the color red affects the way in which people perceive and experience the surrounding architectural elements. Adding further commentary on the interplay between color and architecture is Gower’s imagined conversation between artists Donald Judd, Theo Van Doesburg and Le Corbusier on the subject. The Red Wall is made possible by The Greenwall Foundation, Cowles Charitable Trust, American Center Foundation, and The Lily Auchincloss Foundation.